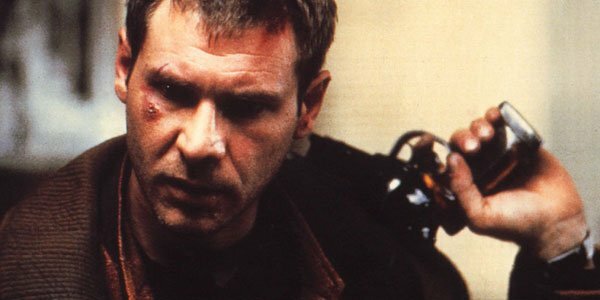 Ridley Scott recently shed some light on his plans for Blade Runner 2, and he even shared his plans for Harrison Ford’s role in the film. We talked at length about what it could be, and came up with a pretty strong three-act storyline, and it all makes sense in terms of how it relates to the first one. Harrison is very much a part of this one, but it’s really about finding him; he comes in in the third act. Ridley Scott is incredibly busy these days, especially with his new biblical epic, Exodus: Gods and Kings hitting theaters December 12, and it looks like his schedule isn’t going to be slowing down anytime soon. Scott is directing and producing the film adaptation of Andy Weir’s hit science fiction novel, The Martian, which is set to hit theaters in November of 2015, and he will also be directing and producing a miniseries based on Richard Preston’s novel The Hot Zone. It is unclear how this sequel will be received by audiences. Harrison Ford has been revisiting a lot of his former hit roles as of late, coming back as everyone’s favorite archaeologist, Indiana Jones, and as he-who-shot-first, Han Solo, so it does not come as a great surprise to hear that Ford will be returning to another of his most beloved roles. Of course, the reception to Ford reprising his role as Indiana Jones was not entirely positive, so it will be interesting to see how movie-goers respond to this new installation in the Blade Runner universe. It will be even more interesting given the fact that the fanbase for Blade Runner is significantly smaller than the fanbase for Indiana Jones and Star Wars. Beyond the size of the Blade Runner fanbase, a sequel will have to offer audiences a clear answer on Rick Deckard’s fate--once and for all, is he or is he not a replicant? Deckard’s fate has been highly debated among Blade Runner fans, and if audiences are not pleased with the side of the Great Replicant Debate the movie sides with, they could lose favor with those who would have been their greatest supporters. While the original Blade Runner had a disappointing run in theaters when it was released in the 80s, it has since been deemed one of AFI’s 100 Greatest Movies of All Time and has been added to the National Film Registry. It will be interesting to see how audiences will respond to the film’s long-anticipated sequel. Though production is set to begin next year, there is no official release date for the film.